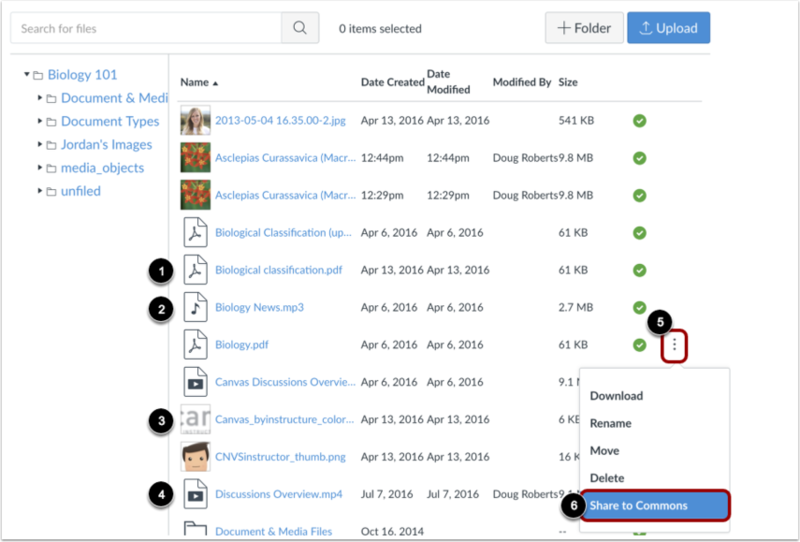 Learn how to share files in Canvas to Commons. 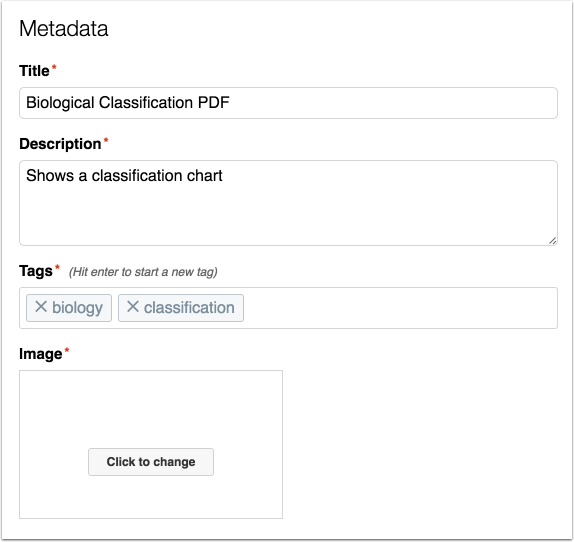 Learn more about supported file types in Commons. 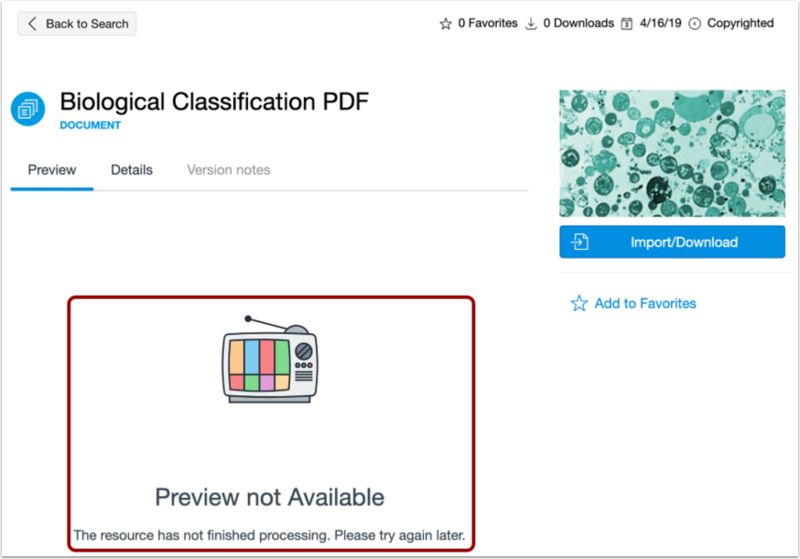 Resources should be complete before they are shared.To modify an existing shared resource, learn how to update a resource previously shared to Commons. 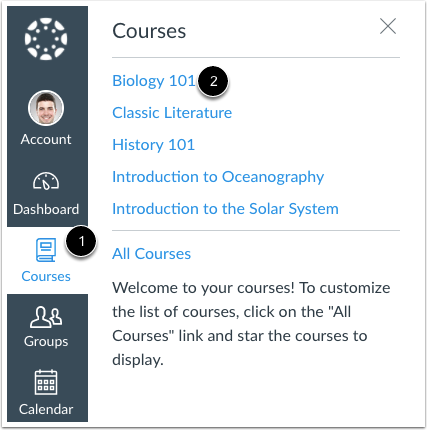 In Global Navigation, click the Courses link , then click the name of the course you want to share the file from . To share a document , audio , image , or video  file, click the Options icon  then click the Share to Commons link . Select a sharing sharing option. From the Copyright and Licenses drop-down menu, select your content license. To add additional information about licensing or usage, click the Add Additional Information link. Note: For image and video file types, a thumbnail is created automatically. Thus, the option to select a thumbnail is not available. Select the appropriate grade level(s) using the sliders or dropdown menus. 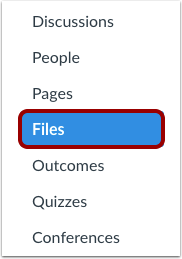 The file type will automatically display in the resource details. Duration will display for video and audio file types. Previous Topic:How do I share a resource to Commons? 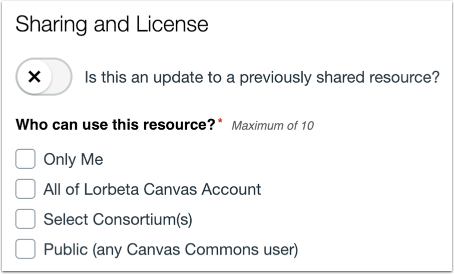 Next Topic:How do I update a resource I previously shared to Commons? Table of Contents > All Users > How do I share a document, image, video, or audio file to Commons? Re: How do I share a unit to Commons? Re: How do I select thumbnail image for videos?